Cars are the second most expensive investment most of us will ever make in our life. They will be fulfilling our transportation needs for a considerable number of years. While they might be built to last you for decades, in order to guarantee they offer you OPTIMAL performance – you need to have them maintained and repaired regularly to ensure smooth running. Therefore, it is vital that you never delay in getting an oil change, as your parts require good lubrication for efficient working. 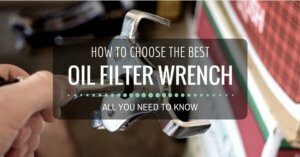 However, don’t just go for any oil you find on the shelf of an automotive store. 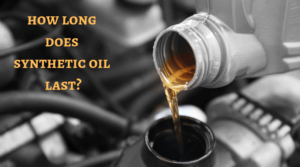 Getting an oil change USED to be a simple thing, but ever since the inception of different “types” of cars and engines – the same oil doesn’t work for every vehicle anymore. 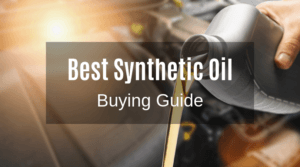 You’ll find auto shops stocked with variants of synthetic and regular oil from multiple brands like Amsoil and Redline, and you are likely to hear conflicting recommendations about which is best. 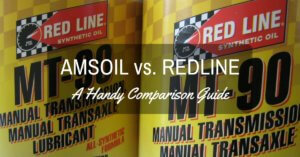 This article rids the confusion by giving a detailed review on both: Amsoil and Redline. With more than 100 quality products, Redline is one of the best car oil brands in the marketplace today known for their cooling additive, WaterWetter, for the industrial, marine, motorcycle and automotive markets. Based in Benicia, California, Redline has a strong reputation among car-enthusiasts and keen racers. Regardless of product price, it offers exceptional performance and better protection than most oil brands in the marketplace. All of Redline’s products undergo a rigorous and thorough quality assurance process before being sent to automotive shops and dealers. The manufacturing facilities of the brand use a strictly controlled visual, computerized, and practical process to ensure all products are of top-quality and deliver nothing but efficiency and performance. Using various chemically advanced additives, Redline formulates the world’s finest fully synthetic oils. From motor oils to gear oils, you can leverage superior performance from all products, which provide superior film strength at lower viscosities and stability at high temperatures. Redline has a huge product inventory of fully synthetic ester formula car oil for standard cars, light pickup trucks, racecars, and marine applications. All produces are top-of-the-line and feature the highest quality chemicals with the widest variety of viscosity for different owners with varied needs. Boasting extreme pressure additives, Redline products offer excellent protection for all types of vehicles. You even have friction modifiers available proper limited-slip operation. With OE-recommended additives packages, combinations of slipperiness, and choices of viscosity, Redline offers a huge product inventory, which includes Motor Oil, Brake Oil, Suspension Fluids, Grease and Assembly Lube, Two-Stroke Oils, Power Steering Fluid, Gasoline Fuel Additives, Diesel Fuel Additives, WATERWETTER® Coolant Additives, Automatic/Manual Transmission Oil, Shockproof® Gear Oils, Gear Oil for Differentials, and Motor Oil for racing. Founded the late Peter Filice and president Tim Kerrigan (retired) in 1979, Redline has been in the market for quite some time now. It has managed to develop an inventory expanding to 100 different products that lubricate everything from the engine, transmission, brake, to all other vehicle components. The brand is famous all around the world and distributes its diverse line of products in almost 100+ countries. The brand has great knowledge of available technologies. Ever since its inception, it has responded to various technical challenges as vehicles have been improved and upgraded significantly in terms of engine and overall mechanics. Even after 38 years, the brand still holds a popular place among oil brands on automotive shop shelves. With oils ranging from 5W30, 10W30, all the way to 20W60, you can feel assured to find a product that best suits your vehicle/motorcycle/racecar/truck etc. • Fully Synthetic Ester Formula - Redline is known for its famous ester formula that guarantees long-lasting protection of your engine and other mechanical components. This formula fights against dirt and debris, preventing them from getting stuck to the engine components. Subsequently, you receive optimal performance. • High Detergency - Redline products feature high detergency, which offer excellent friction reduction and wear protection across a wide range of operating conditions, while providing increased cleanliness via extended drain intervals. • Superior Oxidation Resistance - Redline products feature high temperature stability and oxidation resistance, which allows you to leverage improved fuel-economy. This is because the lubrication of hot metal increases, as compared to other synthetics that get thicker to the extent they are unable to offer efficient moving of mechanical parts. • High Natural Viscosity - All Redline products feature a high natural viscosity index and less evaporation than other synthetics. This provides thicker oil film in areas where it is needed, like cams and bearings. • High Costs - Although there is a huge inventory of products for varied purposes and needs, the high costs put Redline at a disadvantage. 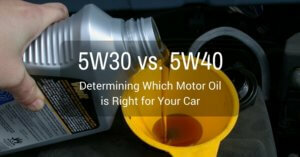 Very few vehicle owners are willing to spend a lot of money of engine oil. 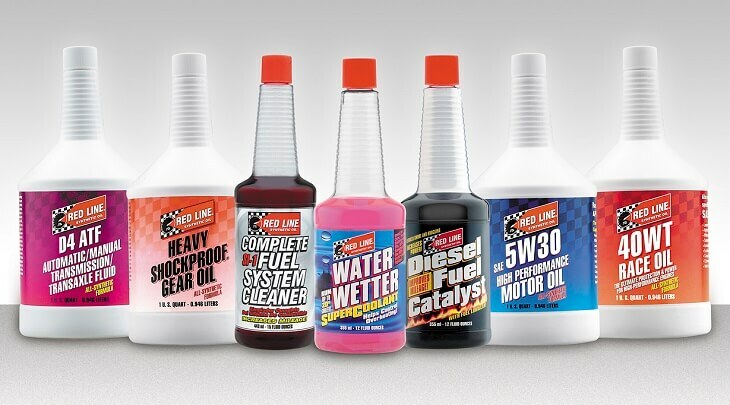 • Low Durability - There is no doubt that Redline products offer exceptional lubrication to engine components, which allow you to leverage remarkable efficiency and performance. 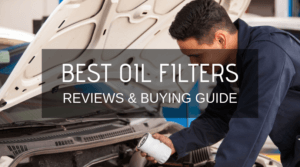 However, according to numerous customer reviews, the oil has to be changed much regularly than other synthetics in the marketplace. Based in Superior, Wisconsin - AMSOIL is an American oil and synthetic lubricant-manufacturing brand that is known for its innovative answers to the greatest challenges equipment and vehicles present. 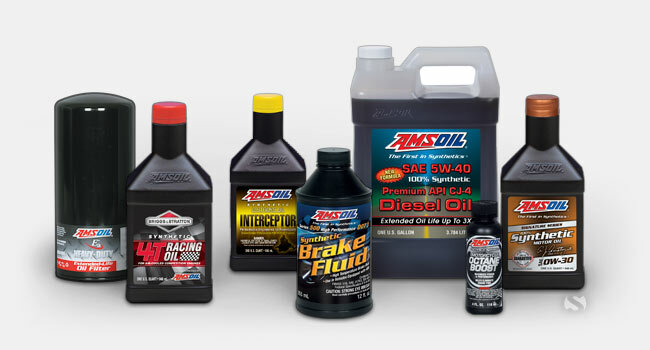 The products of AMSOIL deliver exceptional performance to all types of vehicles and its synthetic lubricants are famous in a wide range of markets, including the racing, industrial racing, automotive and more. The brand places strong commitment to innovation and has a loyal following of customers. All products created by Amsoil are of the highest quality, some even offering better performance, efficiency and lubrication than Mobil-1 products. This can be owed to its series of industry-standard tests prior to being sent to automotive shelves and dealerships. All AMSOIL products are tested and certified to ensure maximum consistency and quality. This guarantees that you receive the same high performance, regardless of how many times you purchase the product. AMSOIL strongly believes in developing oil and lubricants that enrich and make life easier for customers. All motor oils guarantee top performance. As a family owned company, the brand places strict emphasis on satisfying its customers, rather than maximizing profits. You can feel assured that your car benefits greatly in terms of engine durability, efficiency, and performance. AMSOIL has a team of professionals who are constantly researching and implementing new chemicals to make its oil and lubricants the best in the marketplace. All products are pure and contain no molecules or contaminants that don’t serve a designed purpose. With a range of viscosity levels, combinations, and detergency, you can feel assured to find a product that best suits your needs and requirements. You can even receive extreme-temperature performance and maximum film strength that conventional lubricants can’t offer. The product inventory of AMSOIL includes special Motor Oil, Gasoline Fuel Additives, Diesel Fuel Additives, Oil for Marine applications, and Premium Oils for UTVs and ATVs, Special Oil for 2-Stroke and 4-Stroke Bikes and Vehicles, and Racing Oil. Founded in 1972 by CEO industry pioneer and President Al Amatuzio, AMSOIL is a renowned name of vehicle oil in the marketplace. The brand uses the same principles of the founder that defined his career as a jet fighter squadron commander. All products focus on EXCELLENCE and nothing short of it. 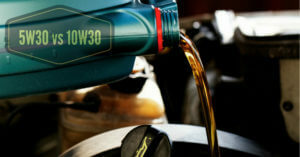 The brand gained its breakthrough after releasing the 10W-40 Synthetic Motor Oil, which was developed after considerable research and derived from aerospace technology. AMSOIL was the first ever synthetic motor oil to comply with all the requirements laid down by the American Petroleum Institute Service and has since then outperformed all conventional oils on all counts, signaling a new in lubrication science – not only for the engine, but for the transmission, brake, gear, and other vehicle components as well. In 1994, Al Amatuzio was even honored and listed into the Lubricants World Hall of Fame – thanks to his innovate ideas and research regarding oil and lubrication. • Long-Lasting Engines - All AMSOIL products shield your automobile with 75% more protection against wear and tear and horsepower loss, which is higher than industry standards. This ensures increased life of components like cams and pistons. • Cleaner Engines - All AMSOIL products guarantee better cleaning and protection from dirt and debris. 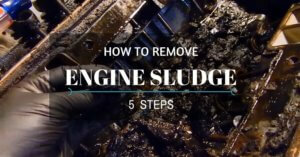 The Synthetic Motor Oil Signature Series offers, “5X” more cleanliness that the conventional oil can. • Longer Lasting Oil - When you buy AMSOIL products, you can feel assured to receive great longevity. 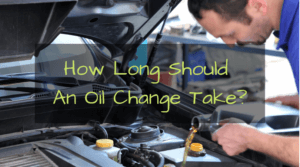 This means, you don’t have to change your oil after every few months. • Faster Cold Starts - With its excellent chemical combinations, the AMSOIL Motor Oil guarantees 36% easier and faster cold starts. • There are no cons for AMSOIL oil products. All customers have reported 100% satisfaction. 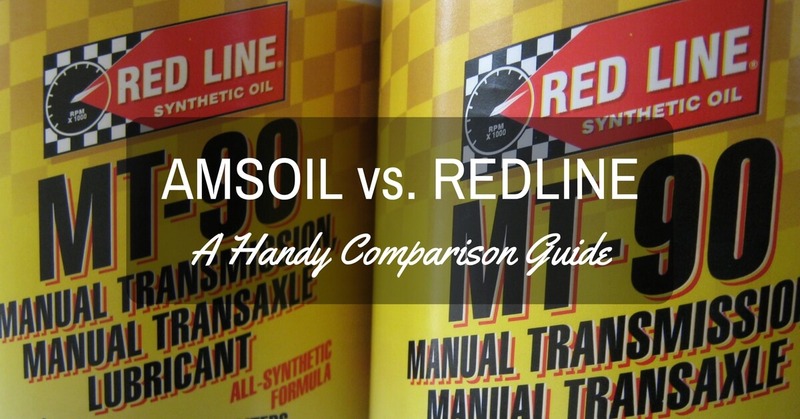 If you are finding it difficult to choose between AMSOIL and Redline, we recommend you to go with Amsoil – thanks to its higher number of customer satisfaction reviews. However, if it is too expensive or not available for use, you can always go with the Redline, which is just as good and will not cause any damage to the engine parts. Another Amsoil commercial from with in …..i have used both in HD motorcycles and Redline is the best by far…………….. I have used Amsoil for over a decade and drove one vehicle to 535,000km (300,000 miles) on it. It wasn’t burning or using any oil either. There is also a video floating around YouTube about a guy that drove his van 1,000,000 miles on Amsoil. It was independently verified to be true as well. There are a lot of great oils out there that will yield good results but for me Amsoil is the best. Happy Motoring. I am an Amsoil user and Dealer also. I contacted Shell Oil company before I started this business and asked the answer man there what he thought of Amsoil products. The answer man said that, Amsoil is far superior to anything on the market today, including anything we put out. That is a direct quote from there tech man about Amsoil and his thoughts. This is a man with many years of knowledge in the technical field today. I will continue to use Amsoil in all my cars and trucks and my customers equipment. It may cost me a little more to use it in a customers equipment, but it is well worth it in the results in the long run.